New York City has a new destination for animation admirers. It is the Process Lab of the Cooper Hewitt, Smithsonian Design Museum. The lab is housed in Andrew Carnegie's grand old office suite. The lab is the museum's interactive space. Visitors of all ages can participate in the design process. They can take part visually, digitally and manually. The lab just opened "Pixar: the Design of Story." It is on view through Aug. 7, 2016. The show examines the chemistry of an animated picture. It tracks the difficult five-year process needed to make a full-length film at Pixar Animation Studios. That includes the initial idea through development of stories, characters and mood. And also through music, color scripts and settings. Also included are architectural drawings, paintings and clay sculptures. And there are digitally created images of such popular Pixar characters as Sadness from "Inside Out" and cowboy Woody from "Toy Story." Also on the walls is the redheaded archer Merida from "Brave." "Our films are not about stories but about storytelling," says Elyse Klaidman. She is the longtime director of Pixar University and the Archives at Pixar Animation Studios in California. Pixar University is the in-house school for employees. "It starts with wanting to tell a story. We strive to create appealing characters in a believable world. 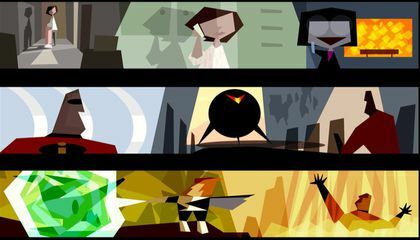 Who are the characters? How do they change? What do they learn?" "Our directors come up with ideas they share with [CEO] John Lasseter and our Brain Trust. (They're) a team of directors that decides what story is the one that resonates," Klaidman explains. "These are people who have this passion to tell stories that make us feel wonderful, stories that have deep meaning to them. The stories come from life." Consider "Inside Out", the 2015 Pixar film. It depicts the inside of an 11-year-old girl's brain, as it is dominated by many conflicting emotions. In fact, the story for "Inside Out" came from Pixar director Pete Docter. He was struck by the emotional changes he saw his daughter feeling as she went from carefree little girl to withdrawn preteen. He decided to make a film. It would show the girl's "outside" life at school and home while illustrating the turmoil inside her brain, especially her emotions. Those emotions are joy, sadness and disgust. And they also included fear and anger. In the Cooper Hewitt's lab we see the Pixar process of research and teamwork. The lab includes drawings of Toy Story's Woody as he was first imagined. It shows as he evolved, even as a sculpted clay head. We see how Pixar's computer programmers "map" the way the long red curls on Merida's head swing as she gets ready to shoot an arrow. For example you can look at the decor of a modern house in a Pixar film and you could drag an image of an Eames chair to it. Then you can learn all about the chair. To further that idea, Pixar and the Cooper Hewitt have produced a children's "work book" to go along with the exhibition. "Design of Story: A Pixar Design Activity Book" (Chronicle Books) has pages inspiring children to draw their own stories. And to expand on various Pixar themes. A different room in the lab serves as a theater to show "Luxo Jr." It's a groundbreaking short film directed by John Lasseter in 1986. It was the first 3D computer-animated film. And it was the first to get an Academy Award nomination. It is a short story about a desk lamp (Dad) and his lively son, a mini desk lamp. He's on a play date that has its ups and downs. The mini is sad as he bounces on a ball and squashes it, but he recovers when he finds an even bigger ball. Dad just shakes his head, knowing what's coming next. The film was so important to Pixar's beginning that the lamp became the studio's logo. Lassater had been fired from Disney's animation studio. He created Pixar to showcase computer technology and prove it could tell stories with widely appealing characters. "At that time, most traditional artists were afraid of the computer," Edwin Catmull is quoted in the wall text. Catmull is the president of Pixar. "They did not realize that the computer was merely a different tool in the artist's kit but instead saw it as a type of automation that might endanger their jobs. The release of 'Luxo Jr.' reinforced this opinion turnaround within the professional community." Visitors see the film, the original lamp sketches and the storyboards. The even see Lassater's list of lamp-bouncing "actions" on a yellow legal pad. It lets visitors fully understand Pixar's design processes. And it's done without losing any of the magic. "Pixar: The Design of Story" is on view through Aug. 7, 2016 at the Cooper Hewitt, Smithsonian Design Museum. The museum is in New York City. I would love to go and visit this place and see all the original artwork. 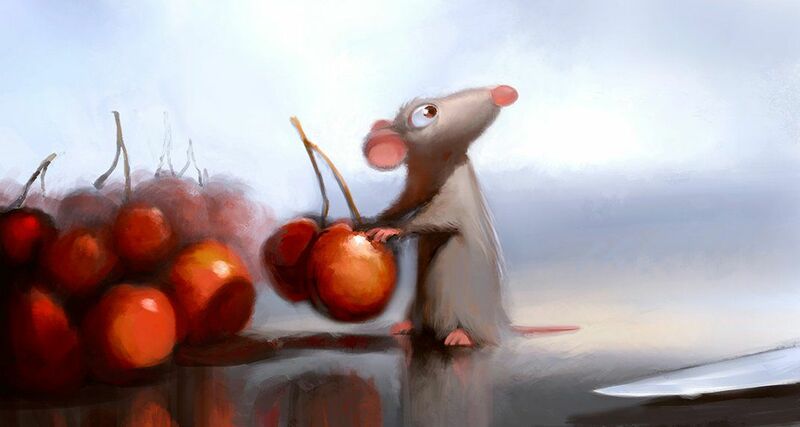 I thought that the drawings from Pixar look like the drawings in the movies,but I was wrong. I think the original drawings that were sketched are super nice. The sketches are drawn by hand to first get the idea of a character, and to get the idea of the story while drawing that character. I thought Pixar wasn't that famous, but when I read this article now I think Pixar is famous. I hope Pixar makes more animation movie. I never watched inside out, so I am going ask you if it is fun. Is it fun or boring? I hope it is fun because I bought the C.D. One of my teacher (Issac teacher) said it was a sad movie. Is it sad? Is Pixar the same show as Disney. I think it is because I see most of the Disney movies as Pixar movies. Again, I will ask the Pixar to make more fun movies for kids. If they made the movies with this art I think that it would have been horrible because if you look at the rat picture and it came out on the movie then it would have been horrible. I think this is cool because you get to know how Pixar animators made their movie characters in the first place. It is a good way to teach people about the process of animation from scratch to product. If you think about it, it is amazing how the animators make the characters like the ones in their movies. Answer: The digital animations begin as sketches drawn by hand because you have to draw out how the character will move before digitizing it. I think that it is cool that a pixel art had been created from some of the animators that made the pixar animation into a pixel art which is cool. I think that the pixel art might have been a big design though. I like pixar movies.I think they do a good job of making them.